Today I was surprised when i open google and write the word "dj pendhek". In the first column is written as what is in the picture. Then I tried to get into the url and it turns out it is a site that does not use advertising payments. Then I signed up on the site, and do you know? People don't like online ads, are not interested in ads and do not click on ads. According to the Pew Project for American Journalism annual report for 2010, the vast majority of Internet users, 79%, say they never or rarely had clicked on an online advertisement. They don't mind them. They simply ignore them. Do you know why? The reason is simple: Readers come for editorial content, not for the ads. I want you to try thinking of yourself. When you go online, do you go for advertisements or for editorial content? Do you click on ads or on editorial links? Then why online marketers continue to use ads as the main way to reach their target audience, and why publishers continue to use ads as the main way to monetize their content? It's because online marketers and publishers copied the way offline newspapers monetize content - ads. A consortium comprised of leading computing companies in Europe and research institutes, has just announced that it plans to develop a new type of computer architecture based on ARM processors that will be able to deliver exascale performance while using 15 to 30 times less energy than today's systems. This new project, called Mont-Blanc, is coordinated by the Barcelona Supercomputing Center (BSC) and has a budget of over 14 million Euros, including over 8 million Euros funded by the European Commission. Its main goals are to develop a fully functional energy-efficient HPC prototype using low-power ARM cores already available in today's embedded devices and to overcome the limitations identified in this prototype machine, as well as to built the exascale applications required to take advantage of this system. Energy efficiency is a key aspect of the system, as this is expected to be able to deliver 1000 PF (1 Exaflops/s) in 2020 with a power budget of 20MW. “First, we must take into account that not all energy is used for computing within the cores. In current systems the processors consume the lion's share of the energy, often 40% or more,” says Alex Ramirez, leader of the Mont-Blanc project. “The remaining energy is used to power up the memory, interconnection network, and storage system. “Furthermore, a significant fraction is wasted in power supply overheads, and in thermal dissipation (cooling), which do not contribute to performance at all,” concluded Mr. Ramirez. The Mont-Blanc project brings hardware companies such as Bull, a major HPC system vendor, ARM, a company well known for its energy-efficient processors, and Gnodal, which will develop the interconnect used in the exasclae machine. Besides the technology providers, Mont-Blanc unites supercomputing centres from the four Tier-0 hosting partners in PRACE (Partnership for Advanced Computing in Europe) who have roles in system software and exascale application development. The online Apple Store is down in several territories around the world, including the United States, where the yellow sticky sign is up with the message “we’ll be back soon”. The giant computer company headquartered at 1 Infinite Loop, Cupertino, California has posted its famous message saying “We are busy updating the store for you and will be back shortly” which generally signals that something new is up. And while we’re generally left guessing what that something is, this time around we may have a clue. It has been revealed this week that Apple plans to roll out a new service that allows customers to order stuff online and pick it up personally from their local Apple Store. Kicking off in the San Francisco area first, the program also accepts returns of products ordered online. The third-party accessories generally found throughout Apple stores also fall under the new initiative. Apple will require an online receipt and ID to allow the customer to complete his / her in-store pickup. Clients, for their part, can let someone else do the picking up for them, as long as that person comes in-store carrying the aforementioned proof-of-purchase. While I expect this change to be the main reason behind Apple’s move to take down the online store to make the necessary interface adjustments, we can always hope Apple will surprise us with a new product announcement or upgrade. Granted, that’s not very likely as Apple just recently updated the MacBook Pro line, and there are no signs of any new upgrades on the horizon for the near term. okey, to day i'll share u to be good student at the art class. first u must be serious with ur self, u must have to explore u skill.about skill u must be confidence with ur self,if u want, u can be another person, but u must be ur self at ur home. Microsoft is providing a collection of free resources designed to simplify testing of the Roslyn Community Technology Preview for developers. Early adopters looking for a tad of help with the recently released Roslyn CTP can head over to the Microsoft Download Center and grab a set of walkthroughs available free of charge, just as the CTP. With Roslyn, the software giant is working to provide developers with a complier as service. This is valid for both C# and Visual Basic. Essentially, what the Redmond company has done is to rewrite the C# and Visual Basic compilers with Roslyn, from scratch, in order to open up the technologies. Developers that test the Roslyn CTP will find that Microsoft has moved beyond C++, and that the company implemented the C# compiler in C# and the Visual Basic compiler in Visual Basic, respectively. In this regard, Roslyn enables devs to take advantage of a range of new APIs (application programming interfaces) designed to expose various stages of the complier as a service. The Microsoft "Roslyn" CTP walkthroughs provide insight on a number of topics, including semantic analysis, syntax analysis, syntax transformation, etc. for both C# and VB. “Developers haven’t been privy to the intermediate knowledge that the compiler itself generates as part of the compilation process, and yet such rich data is incredibly valuable for building the kinds of higher-level services and tools we’ve come to expect in modern day development environments like Visual Studio,” revealed S. Somasegar, the corporate vice president of the Developer Division at Microsoft. The Roslyn Project CTP is available for download here. While Intel most certainly gets all the credit for coming up with the Ultrabook concept and marketing it in the notebook market, AMD is by no means going to overlook this sector and in 2012 and 2013 will introduce a series of APUs that are destined to power its own Ultrabook-like laptops. AMD hopes that in this way it will be able to improve its position in the notebook market, where it currently holds about a 10% share. According to DigiTimes, the Sunnyvale-based chip maker plans to introduce two platforms for this type of ultra-thin products, the first coming in June of 2012 and going by the name of Deccan, while the latter will be released in 2013 and is known under the code-name of Kerala. Most of you are already accustomed with Deccan as we detailed this platform in series of previous reports, but I will still go through a quick refresher for those of you that aren't all that familiar with the subject. Deccan is comprised out of the Wichita-based APUs and of the Yuca FCH, and the former will include up to four processing cores, a built-in graphics core as well as some of the I/O functionality usually found in the FCH controller. As far as the 2013 Kerala platform is concerned, information is scarce at this point in time, but it will most probably use a system-on-a-chip (SoC) design, just as is the case with Wichita. 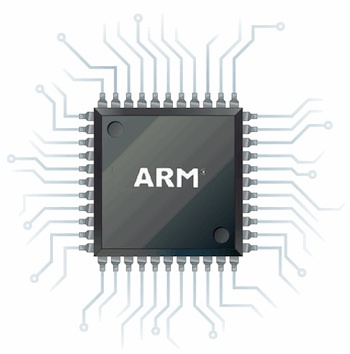 We also know from previous leaks to reached the Web that the Kabini APU used for this platform will be based on the AMD Jaguar CPU core architecture with support for DDR3 memory. Both of these platforms will have to go ahead against some strong opposition as it seems that March 2012 will mark the introduction of Intel's Ivy Bridge processors, while in 2013 AMD will have to compete with Haswell. The two Intel processor architectures will bring an impressive series of improvements to the table, including much lower power consumption, so AMD will really have to step up its game if it wants to make it in the Ultrabook space.